Panasian Power Limited – Open for Trading on 7th January, 2011. Today January 05, 2011, CSE announced the Panasian Power will list on Main Board with the classified of Power and energy Sector, on 7th the January 2011. Total no of shares to be listed : – 500,000,000. Posted on January 5, 2011 Categories Colombo Stoke Exchange [CSE] TodayLeave a comment on Panasian Power Limited – Open for Trading on 7th January, 2011. Is PC House is good to be Invest? 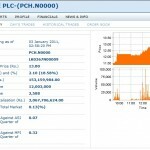 The PC house PLC was a Bad Performer in Colombo Stoke Exchange in Previous Months; the Price of the share was reach Rs. 8.50 per share which issued at Rs.12 per Share [IPO]. As a common perception of the market the PC house having a probability of Reach Rs. 20 to Rs 25 in near future. For a long time there is a good enough future to reach Rs. 50 per Share. Therefore this Investment is better for long term Perspective than the Short term Focus. But whatever happens Colombo Stoke Exchange is trading with Predictions rather than the Performance. The best advice to the investors are to not to invest all their saving to the share market. For Short term – Yes, it’s good for immediate capital gains. For Long term – Yes, its’ depends on their Adoptability of IT sectors changes and Satisfaction of PC House Customers. This is not a Person advice for anyone; it’s just an observation of the market. Posted on January 3, 2011 Categories Colombo Stoke Exchange [CSE] TodayLeave a comment on Is PC House is good to be Invest? Singer Finance (Lanka) Limited Share Allocations or Allotment. Posted on December 24, 2010 December 24, 2010 Categories Colombo Stoke Exchange [CSE] TodayLeave a comment on Singer Finance (Lanka) Limited Share Allocations or Allotment. As an investor and follower of CSE, my argument is. Today’s Rs.170 was lowest price during this year transactions. This price reductions can be a market correction, the CSE was reaches a highest selling positions during the last 2 months. So the investors are expecting there will be a Market correction in near future. Therefore most of them are considering this as a market correction, but it’s not. If it’s a market correction the whole the market should be affect. Therefore accepting the market adjustment is depending on their personal. By manipulating the Singer Srilanka shares, will lead the investors to not to attract to singer Finance IPO which opens tomorrow. The number of shares traded today is about the 1000; therefore making decision with the few shares may be lead wrong decision. Today price is the lowest price in the year of 2010. The price indicates as Rs.170; is a lowest price in the year. The share trading today may lead use to misunderstand the investor and unattractive to the Singer Finance IPO. This trend can be continued to tomorrow as well to affect Singer Finance IPO of 15th December [tomorrow]. Laugfs Gas Limited listed in Colombo Stoke Exchange [CSE] today as First day. Laugfs Gas Limited issued 75 million voting ordinary shares at Rs. 23 each and the shares are oversubscribed by 20.2 times. Is LAUGFS Makes CRY short term Investors? Today most of the Laugfs Gas Limited investors [short term] are expecting a higher opening price, likely double the rate [RS.46] of share value [Rs.23]. Most of the investors argued similarities of the opening day of ODEL and today’s Laugfs. But from the opening, all the short term investors’ are understood their short term expectation won’t satisfy today. Only argument to smile the Laugfs Gas Limited investors are, the total share volume trade today is 30.81 million. Therefore it’s acceptable most of the investors are holding their shares for long term perspective than a short term. Therefore there will be a good future for Laugfs Gas Limited [expected] in long term or immediate medium term. Is it possible to Laugh? There is a good enough possibility to laugh. The investors who holding the shares for long term, the argument is, most of the companies long term performance is good if compare the initial listed day. And the share market is not a casino to see immediate money, if anyone use it as casino it will take back all like cash generate as like casino. Therefore be professional and be use share market as a capital investment market. Therefore share market won’t cheat anyone any more. Long term- investors who are look for long term – LAUGH. 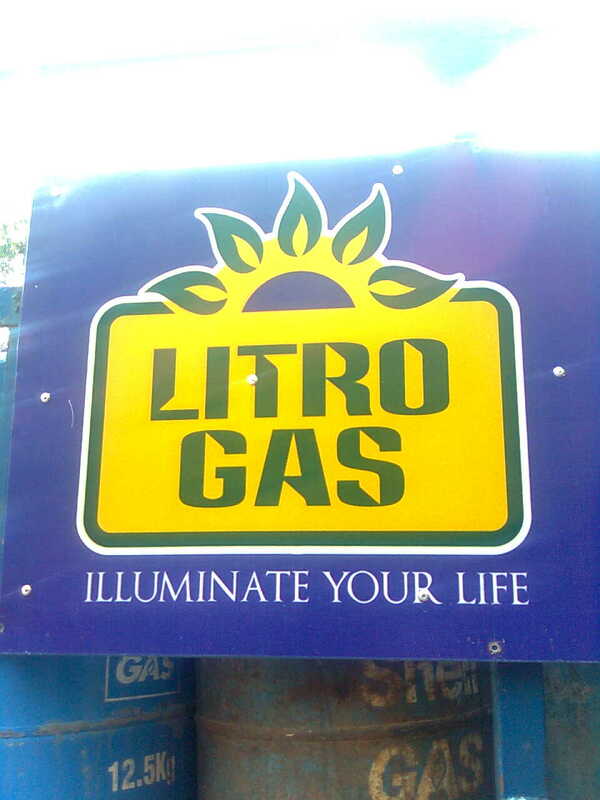 Is Litro gas [Shell Gas] can successful in future? Today November 03, 2010, the shell Gas Lanka signed an agreement with Srilankan government to sell 51% of shake for US$ 63 million. 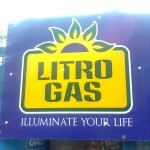 While the government gets the power of control, its change the name of Shell Gas Lanka to Litro Gas. May incurred huge cost for new brand development. Loosing of multinational brand name. High risk of competitions from the Laughs gas. The relationship with the mother company of Royal shell Gas, Netherlands. But whatever it is changing of the brand name and the controls creates a hope to the people to reduction in Gas prices in soon. And if the srilankan government is hoping to serve better services to public is greatly appreciate by public. Posted on November 3, 2010 July 16, 2012 Categories Business News, My Observations and thoughtsLeave a comment on Is Litro gas [Shell Gas] can successful in future? the success of the Damro furniture is their distribution and the supply chain effectiveness. the Damro is a good example for a srilankan industry to, how to handle a proper business with a customers to reach a nearest showrooms.The effectiveness of the customer relationship and supply chains are mostly new to srilankan companies to adopt. for example Damro having nearly 53 showrooms in srilanka, 35 showrooms in India and 5 show rooms in Australia. some of the showrooms are operating as Franchise Showrooms, but most of the showrooms are operating independently and providing a valuable customer services. Srilanka enjoys an extreme advantage of exporting the Coconut products to the rest of the world. Especially coconut tree is can be consider as Utility tree. Because we used all the parts of the tree and we get maximum benefit out of it. Coconut products are widely available in every coastal area in Srilanka. It has a huge home demand and the export opportunity as well. Most of srilankan are doing this business as their small business. But it can’t consider as a small business, because most business are became an enterprises as well established. Here I am discussing bit about the export market of Coconut products but same products are widely available is Srilanka as well. In overall Srilanka there are nearly a 60 mills widely available. The total production is about near to 72,000 to 75,000 metric tons per year. This is a local market and the export as well. Specially foreign countries are using in the winter time. Most of the EU countries, UK, Netherland, as well.. The twine is made by the Coconut Bristle, it can be made according to the needs and the requisition made by the consumers. These twine gets a great demand, when the world talk about the global pollutions and the go green proceeds, mostly available is green product is this twine. This is the main reason most of the western counties are more interested to buy it. This is shell of the coconut. In Srilanka people use it for cooking and domestic heating purposes. The same purpose its export as well. Its use some other counties for domestic heating and some of the external activities as well like BBQ. The coir is using to make a mattress. But now there is not enough demand for Coir mattress, so most of the mattresses are using to produce the coir with the Rubberized. This will be a cost efficiently and the value for money concern. This is a main product of the Coconut tree. Mostly of the people get use of it. The recent time, most of the countries are using packet Coconut milk power or milk. It’s a 100% pure Coconut Kernel. This is not flavor or Artificial Preservatives included it. This is use for the preparation of Curries and Desserts. Recent home demand for the packet coconut milk power appreciated. In soon future srilanka will mostly use it. Most of the EU countries, UK, Middle East, Australia and Singapore. This is a good business opportunity to the Srilankan to start the business in coconut products and succeed. These investments are not leading you a huge risk. Because every part of the coconut tree can be use it. But the important is the quality of the product will be a key success of export market. The coconut products are the good investment activities for the people who would like to start the small business in srilanka.